Version 1130 (30-11-11) Android 2.3.4 work full youtube, USB bluetooth, new desktop menu, full wifi. Version 0111 (12-01-12) Android 2.3.4 work full youtube, no USB bluetooth, higher performance, fix video hd, new system wifi. HiDTV Version 1.9.2 apk software para ATV con sintonizador USB TDT, descomprimir en un USB e instalar desde Appinstaler. Version 0529 (29-05-12) Android ICS 4.0 Market Full (not work webcam, tdt and CVBS). 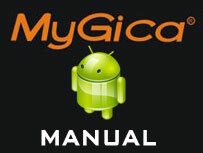 Descargar manual de upgrade 4.0 ICS. HiDTV Version 1.9.8 apk para ICS 4.0 (0730) software para ATV con sintonizador USB TDT, descomprimir en un USB e instalar desde Appinstaler. Version 0726 (26-07-12) Android ICS 4.0 Market for Region, Wizard configuration, Autoupdate online, TDT Ok, CVBS(not fine), Bluetooth Ok. PARA M3 ATV310B y ATV3000B. Version BETA 0730 (30-07-12) Android ICS 4.0 Market for Region, TDT Ok, CVBS(not fine), Bluetooth Ok. PARA M1 ATV4000 con DVB-T tuner interno. Version 0730 (30-07-12) Android 2.34 TDT Ok, CVBS(not fine), Bluetooth Not, Apk DVBplayer for ATV4000 with EPG. PARA M1 ATV4000 con DVB-T tuner interno. 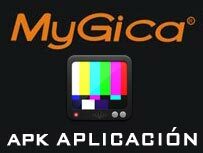 APK para Mygica ATV permite controlarlo directamente desde su movil Android, con la pantalla táctil podra escribir y mover el cursor, para instalacion en el movil android. Version 0928 (28-09-12) Android ICS 4.0 Market for Region, Wizard, Autoupdate online, TDT Ok, CVBS(fine), Bluetooth Ok. WebCam Ok, PARA M3 ATV310B y ATV3000B. HiDTV Version 2.0.7 apk para ICS 4.0 (M3) software para ATV con sintonizador USB TDT, copiar en un USB e instalar desde Appinstaler. 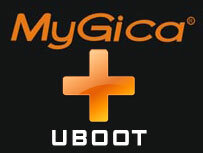 Manual de usuario version 1.0 de Android ICS 4.0 y Jelly Bean 4.1 para todos los Mygica ATV310B, ATV3000B y ATV1200 en idioma Español. 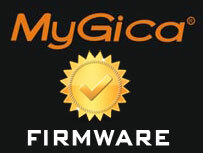 Version 1222 (22-12-12) Android ICS 4.0 Nuevo interface, Market for Region, Wizard, Autoupdate online, TDT Ok, Bluetooth Ok. WebCam Ok, PARA M3 ATV310B y ATV3000B.